October 3, 2015 is the 50th anniversary of the passing of the Immigration and Nationality Act of 1965, which made changes to U.S. immigration policies that helped bring about a beautiful, multi-cultural society in the United States that can be celebrated with honor, pride and great satisfaction, not only to new immigrants but to all the members of the local church. Prior to this important Act, U.S. immigration policy gave preference to northern and western European immigrants and excluded Asians and Africans. Today, the United States is blessed with the presence of many people from various cultural backgrounds and languages. Many parishes have committed themselves to welcoming these immigrants by engaging in special evangelization for and with immigrants, such as encouraging, catechizing, and celebrating liturgies in their native languages. Meanwhile, others organize different inter-cultural activities. Many archdioceses/dioceses have developed structures which encourage and support local Churches to respond to the pastoral needs of these diverse communities, thereby manifesting the universality of the Catholic Church in its richness in positive ways. In their pastoral letter Welcoming the Stranger Among Us: Unity in Diversity, the U.S. Catholic bishops write, “The Church of the twenty-first century will be, as it has always been, a Church of many cultures, languages, and traditions, yet simultaneously One, as God is One — Father, Son, and Holy Spirit.” We must acknowledge that, despite our different cultures, genders, religions, languages, and ethnicities, human persons – men and women – are created in the image and likeness of God (Genesis 1:26-27). The liturgical life of a parish must encourage active participation by immigrants as members of the faith community. The faith community into which the immigrants are received is enriched with their spiritual gifts, deep cultural values, and wealth of faith traditions. In welcoming immigrants, the Church has always contemplated Christ, drawing inspiration from His words “I was a stranger and you welcomed me” (Mt. 25:35). It is important that languages, cultural values, and the religious traditions of these diverse communities be respected. It is important to protect and honor the dignity of every human person. Conscious of the need for unity in the Catholic Church which is visible, alive and active among all peoples, cultures and languages throughout the world, I join my supplications with the prayers of Jesus, “May all be one, as you, Father, are in me and I in you, that they also may be in us, that the world may believe that you sent me” (John 17:21). As we relate with the immigrants and strangers in our midst, let our lives, animated by Christian faith and love, reflect the mind and heart of Jesus who, Himself as a baby, was a stranger in Egypt. He said “He who welcomes you welcomes me.” (Mt.10:40). As the U.S. Catholic bishops said, “The Church must, therefore, welcome all persons regardless of race, culture, language, and nationality with joy, charity, and hope” (Strangers No Longer: Together on the Journey of Hope). 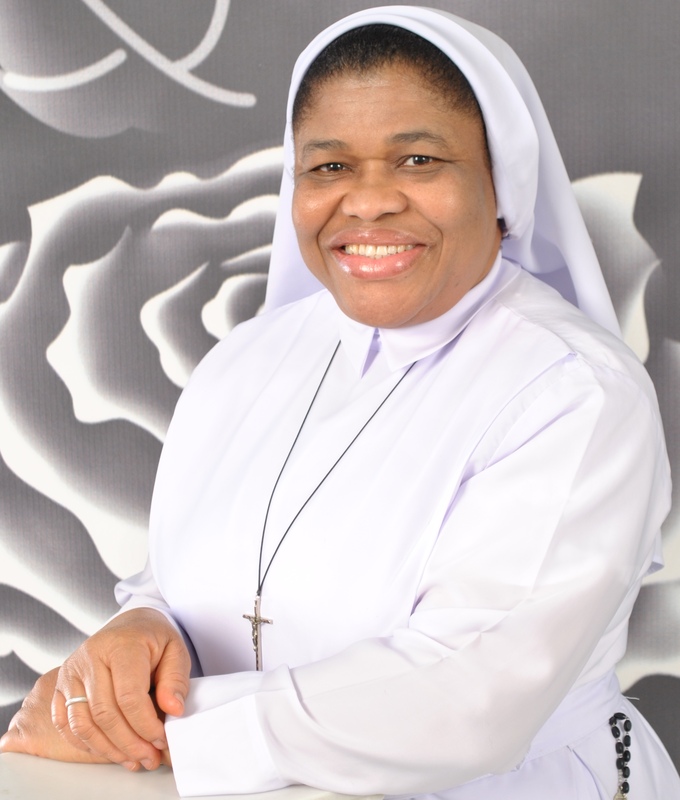 Sr. Joanna Okereke is Assistant Director for Pastoral Care of Migrants, Refugees and Travelers in the Secretariat for Cultural Diversity in the Church at the United States Conference of Catholic Bishops. For resources on celebrating and fostering cultural diversity in the Church, visit the webpage of the USCCB Secretariat for Cultural Diversity in the Church and the Diversity and Leadership Development sections of WeAreSaltAndLight.org.